Having not been hit directly by a storm of any consequence since Inez in 1966, on the evening of Sunday, August 23, 1992 a direct hit from Hurricane Andrew a rapidly intensifying storm moving quickly over the Bahamas was inevitable for the residents of southeast Florida. The storm reached a peak wind intensity of 155 MPH and pressure of 922 MB during the evening so South Floridians knew this was not going to be another Alberto or Floyd that fell apart and with the storm taking direct aim at the region only a miracle on the order that mother nature rarely provides would spare the area again. By the evening of August 23, evacuations were well under way. Governor Lawton Chiles activated the National Guard and declared a State of Emergency. With the storm headed towards the most populated areas of the southeast United States at the time, panic ensued. Approximately 1.2 million people evacuated leaving the Turnpike going north from the Miami and Fort Lauderdale areas as a parking lot. These were the days when Orlando was still considered the safest place to be during a Florida Hurricane (a myth that would be cruelly shattered in 2004 when Orlando was hit directly or stuck in the strongest northeast quadrant of Hurricanes THREE TIMES in just seven weeks). A traffic jam for 200 miles ensued leaving some people to book hotel rooms that were disappearing quickly on the route north. At Disney World, every single hotel room was booked on the property. Some people even evacuated after boarding up and a few even left their pets behind in the homes that were boarded up. Evacuations were ordered in nine counties: Broward, Charlotte, Collier Dade, Lee, Martin, Monroe, Palm Beach, Sarasota counties. Some families evacuated to Fort Piece or Vero Beach which appeared far north enough to avoid any substantial impact – a contrast from the weaker yet larger storms in 2004 which would hit the Treasure Coast directly and yet still ravage southeast Florida. 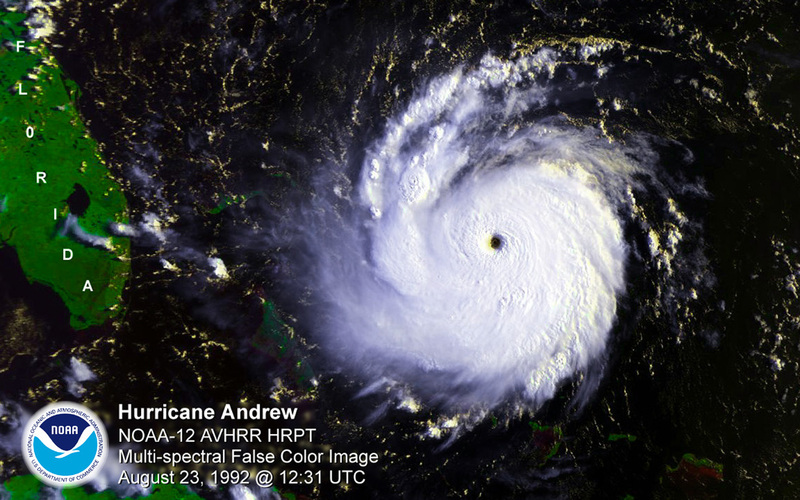 NOAA image – Hurricane Andrew’s eye on August 23 was taking dead aim near the Broward-Dade line. The storm would jog to the south slightly before landfall. As of the evening of August 23 the most likely area for landfall was still on the barrier island of Miami Beach or slightly north in the area of Sunny Isles Beach of Hallandale right on the Broward/Dade line (where Katrina made landfall as weak category 1 storm in 2005, before emerging in the Gulf and becoming the monster that redefined American history). This would take Andrew into the area of the greatest population concentration in the largest metropolitan area in the southeast United States. For all interested parties this promised to be an unmitigated disaster. Evacuations continued and the flow of people leaving southeast Florida as well as the Upper Keys and the Naples area no doubt contributed to the low loss of life from the storm. During the night of August 23/August 24 the center of the storm made a slight jog south – only about 2o miles which in the open ocean is hardily noticeable. Over at WTVJ Bryan Norcross who was was staying on the air all through the night noted the jog and while he wouldn’t ever ask those in North Dade or Broward to let down their guard he made sure viewers in South Dade were well aware of what was in store of them in a matter of hours. Bryan Norcross’ push to have WTVJ invest in a bunker, high-tech equipment, tracking devices and everything state-of-the-art was paying off. While other local stations had excellent TV meteorologists with lots of experience in tracking the tropics, worried south Floridians through the night gravitated to WTVJ. At 4:25 am as the storm’s intense outer bands began reaching Dade County and southern Broward, the Miami radar was knocked out of service. But WTVJ’s in-house equipment continued to work perfectly and deliver important updates to the entire area. The station would win multiple Emmy awards in 1993 for its coverage of Andrew. WTVJ’s coverage was epic. Images of reporters, notably current NBC News reporter Kerry Sanders under an expressway overpass became lasting images of the storm. Bryan Norcross willingness to take calls and keep people calm on air is rightly credited with saving lives and maintaining a sense of normalcy at the most abnormal of times. Rainfall from Andrew was worst in South Dade and North Broward. Wind damage was worst in South Dade. But the storm moved through Florida quickly and didn’t drop as much rain as it would in Louisiana and Mississippi. The storm was quickly moving, clearing the peninsula by midday and entering the Gulf of Mexico where it would steer a path for the Gulf Coast like Betsy did in 1965 and Katrina would in 2005. Rainfall was heaviest in the areas of South Dade that suffered the greatest wind damage and a storm surge of close to 17 feet. Ironically the areas where the storm was originally projected to hit in North Dade and Southern Broward received little rain with areas further north in Broward County being hit harder in terms of rainfall. In fact the highest recorded wind gusts in Broward County were in Pompano Beach. Andrew is one of several storms that has failed delivered its worst punch to Broward County, which remains outside of the Tampa Bay Area the luckiest heavily-populated coastal county in Florida when it comes to the impact of monster storms (it could be argued that Broward has gotten more brushes though than any other county as storms that impact the Treasure Coast, the Keys, Southwest Florida and Miami-Dade County all impact Broward. But the county still hasn’t been directly hit by the center of a storm making a first Florida landfall since 1947*). Unfortunately while the dip south would spare the most populated areas of the southeast United States the worst impacts of the third strongest storm to hit the US mainland on record, it would end up impacting lower income areas disproportionately, environmentally sensitive areas and the center of the continental United States winter agriculture industry. The storm’s impact would be felt nationally for months to come. 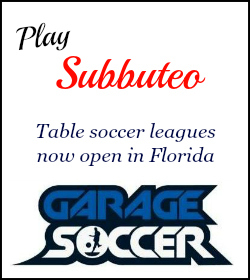 Locales such as Homestead, Florida City, Perrine, Cutler Ridge and neighborhoods like County Walk as well as shopping areas like The Falls and Dadeland Mall would become household names in the American vocabulary over the course of the next several months. In a Presidential Election year, the nation’s attention for week’s shifted from politics to an unthinkable event. Amazingly Miami’s MetroZoo which was right near the center of the storm lost only five animals (excluding birds) from the storm despite leaving the most of the creatures outside. On Friday, we’ll discuss the immediate aftermath of the storm and the bungled responses from the Federal Government. The death toll was low but the damage to material property was unlike anything ever seen before in this country. At the time of Andrew, it did appear the advanced infrastructure, preparation, forecasting and culture of the United States prevented storms from killing the number of people in coastal areas that they did in the Caribbean or Latin America, even if property damage was off the charts. With the exception of the Galveston 1900 Hurricane and the tragic Okeechobee storm of 1928 which hit Palm Beach County, death tolls for Hurricanes that hit the United States tended to be far lower than elsewhere. The 1935 Keys storm had killed very few people who weren’t working on the FEC railroad construction and Camile in 1969 didn’t kill many people in Mississippi despite making landfall with sustained winds somewhere in the neighborhood of 175 MPH (Camile did kill hundreds in Virginia though as a Tropical Depression that soaked one particular area with rains). 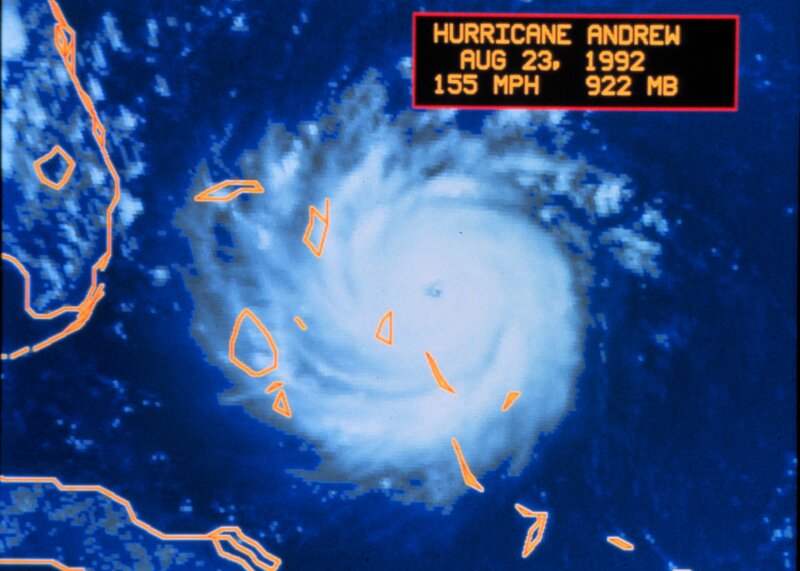 Andrew didn’t ultimately kill many people either , so the 20th Century ended with three Category 5 storms making landfall on the US mainland and loss of life being minimal. These three storms remain the only Category 5 ones to make landfall on the mainland of the US to this date, but in 2005 Katrina would kill an official 1,836 people (nine of which were in Broward and Miami-Dade counties on its initial American landfall) shattering the myth of American invincibility. Later this week we’ll focus more on the botched recovery and the politics behind it. Next week we will review Bryan Norcross’ newly released book. 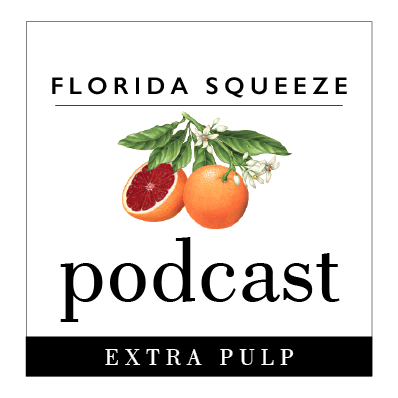 The following week we’ll discuss the environmental impacts of Andrew and the week after how it reshaped southern Florida.